In this series, one of FundApps’ dedicated compliance experts covers a regulatory issue. 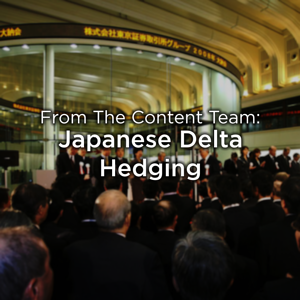 This week, we have Ebbe Filt, from FundApps' Client Services, writing about the delta hedging exemption from Japanese short selling. Many regulators around the globe have a high interest in knowing when fund managers short specific securities. The thresholds required for disclosure are usually much lower when selling securities short, compared to the major shareholding regimes. However, some regulators provide exemptions to their specified short selling regime, and the following describes an exemption which fund managers can take advantage of. This is the exemption on sales of shares in connection with long convertibles, applicable in the Japanese short selling disclosure regime. At FundApps, we are not hedge fund strategy experts, but our clients are. Some of our clients might employ what is called a convertible arbitrage strategy. The “CB Arb” strategy consists of a long position in a convertible, in combination with a short position in the common stock of the same issuer. Funds employ this strategy to try achieve a ‘delta neutral’ portfolio. A delta neutral portfolio will balance the effects from price movements in the common stock, by having the effect from both a negative and positive delta, originating from the short and long position respectively. It can be difficult to obtain perfect delta neutrality and the portfolio will usually be slightly over or under-hedged. This concept plays a starring role in the short selling regime in Japan. How is this relevant to Shareholding Disclosure? As mentioned, regulators sometimes provide exemption on certain instruments. The Japanese regulator, the Financial Services Agency, has allowed exemption on shares sold short in connection with delta hedging of long convertible positions. In other words, shares sold short are not disclosable under this regime, when they are used to hedge long positions in convertibles from the same issuer. At FundApps we believe that it is better to potentially over-disclose compared to under-disclose, but we also pay a lot of attention to any exemptions that might be available. We are also aware that submitting disclosure filings might not be a fund manager's favourite activity. How is this aspect implemented in FundApps’ Rapptr rule engine? FundApps’ implementation is based on one assumption and a question, both of equal importance. If a long convertible position is under-hedged (short equity exposure > long convertible exposure), the excess short position is disclosable. What if the specific reason for short selling shares is not delta hedging, would the exemption still apply? The Assumption: During the execution of our Short Japan rule, the rule engine will match all short shares with long convertible positions, where the issuer is the same, given that the issuer has its shares listed on a Japanese market. 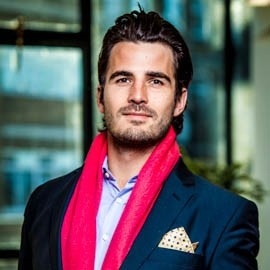 The engine will then calculate for each of these convertible/shares pairs the number of equivalent shares held through the convertible, which includes application of the conversion ratio factor. This number of long equivalent shares is netted with the short shares. If the net position is short and exceeds the -0.2% of total number of shares in issue, Rapptr will trigger an alert, but otherwise not bother our clients. The Question: We discussed this question internally and reached out to our community of fund managers employing the CB Arb strategy, individuals obviously knowledgeable in this area. The outcome of the discussions was that even if the shares are not sold for the specific purpose of delta hedging, they will still act as a delta hedge for a long convertible position issued by the same issuer (thinking back to the aspect of delta-neutral portfolios). Therefore, the joint interpretation of this specific legislation is that the exemption would still be applicable. Delta hedging can make disclosure complicated, but with FundApps it doesn’t have to be that way. Our dedicated team of compliance experts take the latest legal content from around the world and code it into the rules that power our platform, ‘Rapptr’. We’re the service of choice for some of the world’s largest hedge funds and asset managers, and are used by compliance teams across the world. If you’re interested in seeing how FundApps can reduce your operational burden and streamline your compliance, book a demo or contact us.